Start your morning off right! Top with pecans, banana slices and warm maple syrup. In large bowl, combine flour, baking powder, cinnamon and salt. Set aside. In medium bowl, cream butter and brown sugar. Add in milk, egg and vanilla, mix until smooth. Fold in mashed bananas. Pour wet ingredients into dry ingredients and mix lightly until combined. Pour ⅔ cup batter on to preheated waffle plates. Cook 10-12 minutes, or until waffle is golden brown. 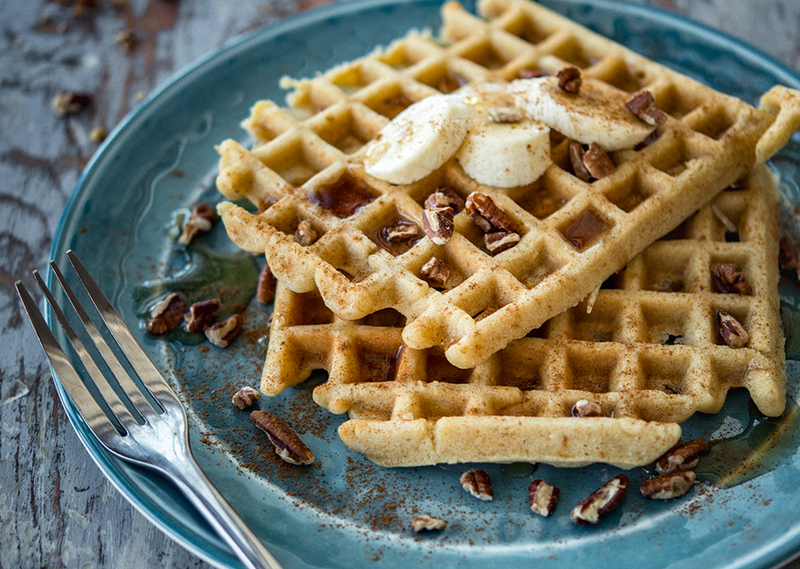 Remove waffles and place on wire rack. Repeat with remaining batter. Tip: Serve warm topped with caramel sauce and chopped pecans.